Please find below details of our April Pamper. We are having beautiful weather at the moment so hopefully spring is here. This month we said goodbye to Lily who has gone on maternity leave and will be back in December. In May we welcome Amy back from maternity leave so if you wish to book with her please ring the salon as soon as possible as appointments are filling up fast! We have two new therapist we welcome to the salon in April. Bethan and Reanne. Bethan is highly qualified in make-up and Reanne will be introducing threading. We also have a new Guinot Facial this month. Lift Summum Anti-Aging. This facial smooths the skin, reshapes the face contours and firms the décolleté. A wonderful anti-aging facial. Please remember if you need a specific time and date for an appointment to book as soon as possible. A wonderful relaxing facial to include skin brushing to exfoliate, rejuvenate and energise the skin. Followed by a head, neck and shoulder massage to revitalise those tired muscles. Shrinking Violet Inch Loss Treatment! A great treatment for loosing those unwanted inches! Eyelash Extentions have fabulous looking lashes in two hours! Lash Lift lasts 2-4 weeks great for holidays. Thai Foot Massage very relaxing. 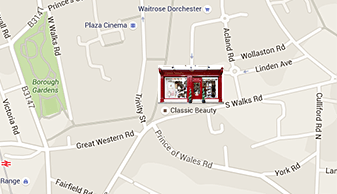 Don’t forget we have a visiting non-surgical cosmetic practitioner and semi-permanent make-up specialist. Book your special occasion make-up now. Save your appointment card fill it with nine appointments and receive £5 on to account. Shellac £24. Try Brisa Light under your Shellac for even longer lasting Shellac. New from OPI Infinite Shine. Dry in 10 minutes. Gift Vouchers. A wonderful way of saying thank you!